UPDATE – Pangu team released a semi tethered jailbreak for iOS 9.2 to 9.3.3 running 64 bit devices. Now you can download the PP Pangu 9.3.3 jailbreak tool and start downloading Cydia on your iPhone iPad or iPod. Pangu 9.3.3 Download links and complete jailbreak tutorial is here. Apple just released iOS 9.3.3 for public. This is only a minor iOS update with many performance improvements and bug corrections. The new iOS 9.3.3 will work on any device which compatible for iOS 9. Alternatively you can download and install iOS 9.3.3 through iTunes, using a desktop computer. As previous updates, There’s no jailbreak for iOS 9.3.3 or 9.3.2. Please hold on your current iOS version if you have already jailbroken your device. 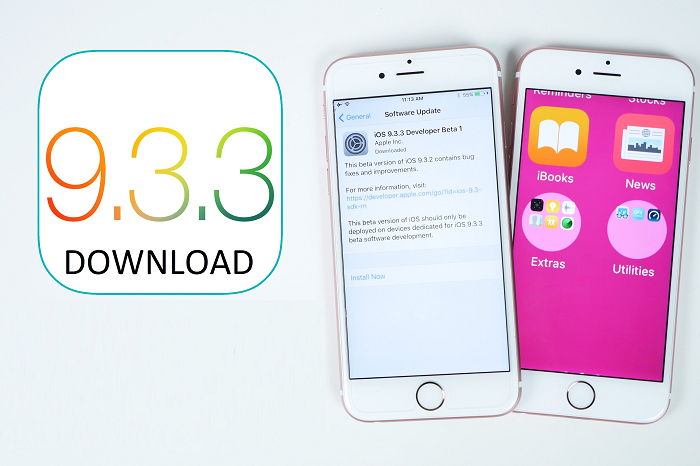 You can check complete update details of iOS 9.3.3 here.